These women then attach the hair to their own heads to make their own hair appear richer and fuller. But what happens when a Christian woman buys the hair that has been sacrificed to a demon—and attaches it to her own head? It's possible for believers to have fellowship with demons: the above verse proves that. And it comes from consuming things that have been sacrificed to demons. One such thing is hair. As a result of attaching sacrificed hair to their own heads, many women have experienced strange dreams, migraine headaches, visitations from 'shadow people' who show up in their bedrooms at night causing sleep paralysis; and some end up physically sick. Some have even testified how they no longer felt like themselves when they wore hair weaves and human hair extensions. So who then did they become? But what happens when these prohibitions are violated and Christians innocently or purposely partake in the forbidden? In this fascinating new ebook titled 'Goddess Hair,' you'll discover why it's never a good idea to consume anything that's been sacrificed to demons. When you take what belongs to a demon, what happens when that demon comes looking for what it owns? 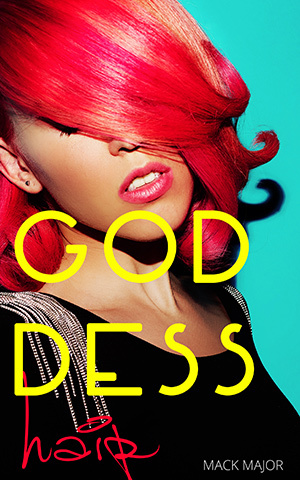 Download Mack Major’s new ebook GODDESS HAIR. Just click the button provided to place your order now.